Since F.E.S. GmbH was founded in 1993, the company has developed into a reputable medium-sized internationally operative enterprise, which is engaged in the manufacture of filter components and installations for the processing of cooling lubricants. 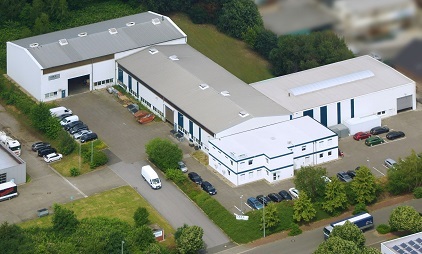 In order to meet the requirements of this development, we moved to our present location in Hattingen, in the centre of the Ruhrgebiet area, in 1997. Here the members of our staff dispose of modern offices and manufacturing facilities with own steel manufacture, electrical department, metalworking shop and paintshop facilities equipped with extensive and advanced machinery. Optimal servicing with spare parts supply is guaranteed on account of an extensive spare parts inventory in which we store the main wearing parts for filters and installations. Large-scale industrial enterprises, such as manufacturers of automotive and roller bearing products as well as mechanical engineering firms in the field of mechanical cutting, rank among our clients. As accepted partners of renowned international companies, we cooperate on a CE certified basis and dispose of the ISO acceptance test certificate as well as the authorisation in accordance with § 19 I WHG (German water resources law). We offer our clients targeted and individually tailored problem solutions both for standard and special filter installations. We energetically pursue our corporate strategy of convincing the market by means of high-quality products, flexibility, innovation and a good price policy. In doing so, the satisfaction of our clients is ultimately the relevant yardstick for quality and thus always our first principle. Put us to the test. We are quite prepared to assist you! We look forward to a trustful cooperation in good partnership with you.